Social Media Conversations After School Shootings: How Civil Are They? For many Americans, social media is the only platform through which they receive news about what’s going on in their world. This is especially true during moments of crisis, when facts about a situation is ever changing. Officials and journalists also turn to social media during these times to share information to help minimize loss of life, but these voices are not the only ones spreading content. Ordinary individuals also use social media to collectively and collaboratively discuss and share information about an event. These narratives are not always factual, nor are they always civil, which can be problematic during crises. Social media is an interesting medium through which to study civility because online we may be bolder than we are in face-to-face conversations. Twitter especially aids in this as it flattens communication hierarchies and allows anyone, of any “real world” standing, to have a voice and interject themselves into the conversation. Of course, this doesn’t mean that all voices are equal in the virtual world. In most conversations, one or two individuals (sometimes called “opinion entrepreneurs”) dominate and shape the broader course of the conversation happening online, for better or for worse. Dr. Deana Rohlinger and I examined Twitter discourse following the shooting at Florida State University and the stabbing at Ohio State University. The first shooting occurred at Florida State University (FSU). 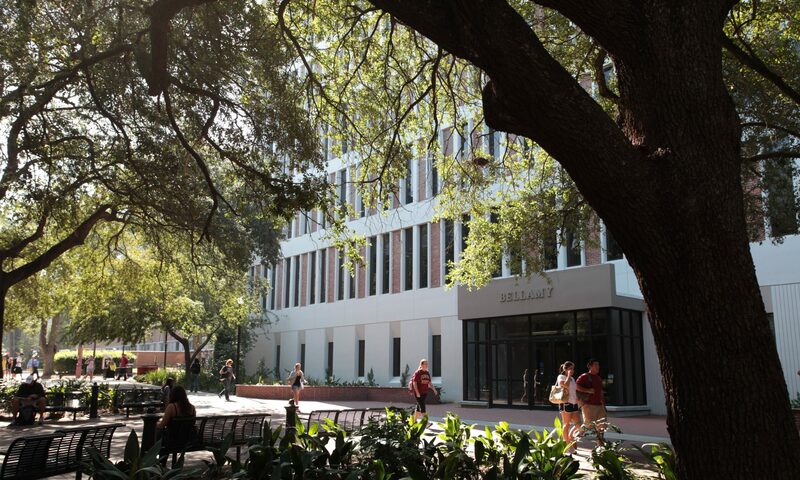 On November 20, 2014 at 12:25am Myron May, a thirty-one year old FSU graduate, went in the university’s library and opened fire with a .380 handgun. May shot and injured three students before he was shot dead by police on an access ramp leading into the library. While two of the students fully recovered, Farham “Ronny” Ahmed, who was shot in the back by May, was paralyzed. In the days following the shooting, it became clear that May was mentally ill. He believed that “stalkers” were targeting him and that his behavior was being managed via mind control and “invisible weapons” devised by the U.S. government. The second “shooting” occurred two years later at Ohio State University (OSU). On November 28, 2016 at 9:52am, Abdul Razak Ali Artan, an eighteen-year old Somali refugee, drove his Honda Civic into a crowd of people outside an OSU building, deliberately striking pedestrians. Artan crashed the Civic, got out of the car, and attacked students with a butcher knife. OSU police responded to the attack, which injured 11 students, and Artan was fatally shot. Unlike the May case, the motive for Artan’s attack was not immediately clear. For our purposes, we focused on the week after each incident and analyzed over 10,000 tweets. We began our analysis with an open coding process. For example, if information was shared about the specifics of the incident, we would code this as an informational tweet and note whether or not the information was correct. Our coding process generated 43 unique codes. We collapsed these 43 codes into four broad categories of tweets: personal stories, information, misinformation, and polemics. We input these four general categories of content into Gephi, a network visualization tool, and then graphed the relationship between the Twitter users using ForceAtlas2, a force-directed layout where linked nodes (here, usernames associated with each tweet) are attracted to each other and pulled closer to the center of the network, and dissimilar nodes are pushed away from one another. Figures 1 and 2 show the network of individuals tweeting about the FSU and OSU shootings the first week after each incident. In the figures, each color represents a category of discourse: Green represents personal stories tweets, orange represents informational tweets (e.g., news updates or information provided by the university), pink represents tweets that are factually incorrect, which we refer to as misinformation, and blue represents polemical tweets (e.g. opposition to or support for gun rights). Gephi graphs are made up of nodes and edges. Each node represents an individual who is tweeting (or retweeting) about the incident and that the size of the node matters. The larger the node, the more important the individual is in a network. The edges are the lines that connect them, and represent their connections (e.g. retweeting). Notice the differences in the two graphs. First, the networks have very different shapes. The FSU network (top) is denser than the OSU network (bottom). In fact, the OSU network has several distinct clusters. Second, and related, the categories of discourse vary considerably by network. Notice that the FSU network is dominated by orange (information), pink (misinformation), and green (personal stories), which are interspersed. Even the smaller cluster is a mix of pink (misinformation) and orange (correct information). This suggests that the discourse is relatively diverse. The OSU network clusters, however, often are dominated by a single discourse category – polemics (blue) and misinformation (pink) with small pockets of orange (information) and green (personal stories). These differences indicate that the individuals tweeting about the FSU shooting were connected to one another more directly and, consequently, potentially exposed to a broader range of discourse than those tweeting about the OSU incident. We hypothesized that the FSU discourse would ultimately be more civil than the OSU discourse. To test our hypothesis, we coded each tweet as either civil (helping, or at least not disrupting, the spread of information), uncivil (disrupting the flow of information through the use of insults, ideologically extreme language, and/or mocking individuals or groups of people), or unclear. Intention is difficult to determine with tweets, so users who shared incorrect information were coded as “unclear,” as they may not have known what they were sharing was wrong. We found that the FSU crisis narratives were overwhelmingly civil and filled with personal stories and correct information. The most common tweet was a personal story of one student whose backpack stopped a bullet. The Twitter user who initially shared this story became an online entrepreneur who had a real impact on the type of information shared during the crisis. While misinformation was shared early after the shooting, the inclusion of journalists with correct information about the perpetrator and the number of victims quickly curbed it from spreading. However, this focus on personal stories and community building may have shifted the conversation away from deliberative conversations about the causes of (and ways to prevent) school shootings. The OSU narratives, to contrast, were dominated by misinformation and political conversations, which gave greater opportunity for incivility to take hold in the discourse. The early and continual presence of incorrect information among the tweets can be traced back to the initial news coverage of the event as a shooting. Sam Hyde, a self-proclaimed “comedian” become an early online entrepreneur as many accounts claimed he was the “shooter.” This misinformation spread like wildfire and was very prevalent. The perpetrator was in fact an eighteen-year-old Somali refugee. Considering the political climate surrounding the incident, this likely influenced much of the incivility, which was related to potential terrorism and slurs against Muslims and/or refugees. This incivility may have undercut opportunities for democratic conversation about violence on school campuses. Overall, narratives about school shootings vary dramatically in terms of the kinds of topics discussed as well as the civility of the discourse. More importantly, it appears that civility is directly related to the opinion entrepreneurs, who drove the narrative creation on social media and helped spread (in)correct information. Cynthia Williams is a doctoral candidate in the Department of Sociology. She studies scientific expertise in media coverage and policy debates. The feature pictures is from Guns.com. Next PostNext Which Underdog Has The Best Chance Of Getting Amazon’s HQ2?